Made from printed plastic sheeting. Can be placed on a door or you can use it as a wall decoration as well. 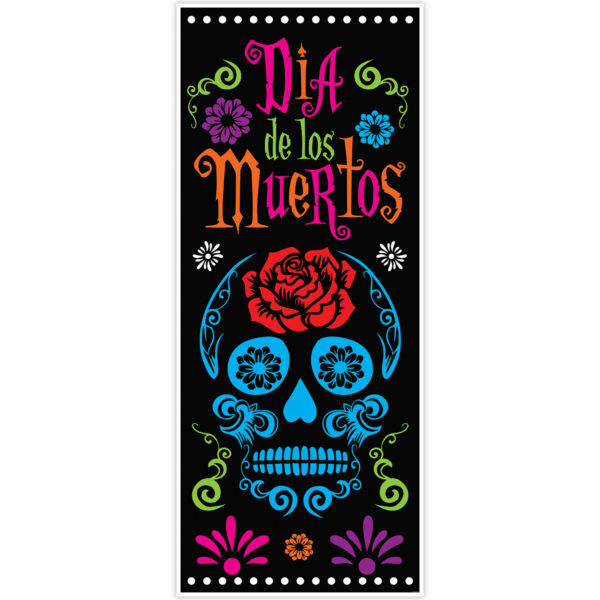 Beautifully printed with a sugar skull.